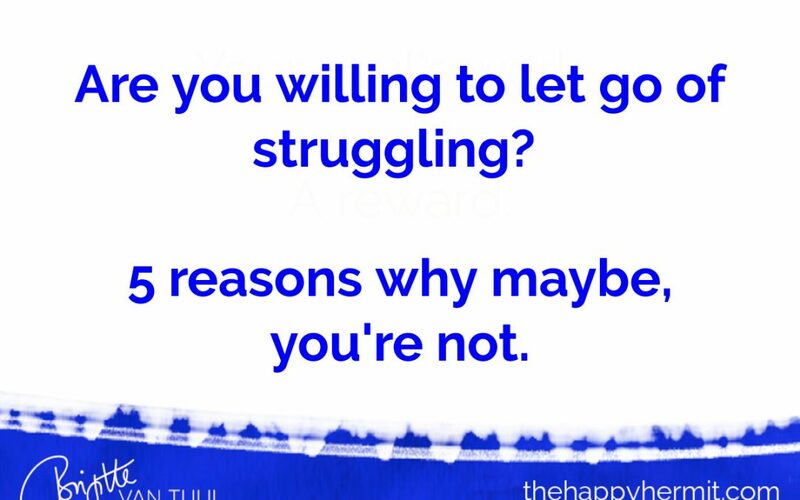 Are you willing to let go of struggling? 5 reasons why maybe, you’re not. Are you willing to let go of struggling? You may think the obvious answer is ‘yes, of course!’. You can be addicted to struggling, Or unwilling to let go of it. This video of a recent Facebook Live gives you 5 reasons why you might be holding on to struggling – without even consciously realizing it. AND helps you let go of struggling, too! And don’t forget to sign up for my free inspirational articles below to receive additional tips, inspiration & occasional gifts that I don’t share anywhere else. Are you a Happy Hermit, too?